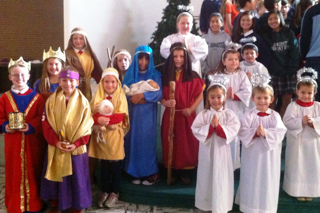 Each year St. Ignatius School holds a Christmas Program. All the students in the school, from preschool to eighth grade participate. Each class performs a song celebrating the season. The Program is enjoyed by the school families and parish community.